SeeControl and ClearConnex announce a partnership to offer a M2M QuickStart Development Kit. 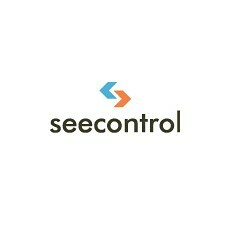 SeeControl, a leading IoT Platform today announced a partnership with ClearConnex, Inc. The innovative wireless M2M device engineering company has integrated SeeControl’s M2M SaaS platform into its ClearComm product, ClearConnex’s embedded device management software platform. The two are now featured together in ClearConnex’s M2M QuickStart Developer’s Kit. ClearComm is a mature, proven, hardware agnostic software platform that can be loaded on any off-the-shelf modem or added to custom designed hardware. SeeControl’s M2M SaaS platform delivers both transactional and unstructured data storage using a fusion of advanced technologies. The platform scales to petabytes of data while delivering banking-grade transactions from mass amounts of sensor information. The combination of ClearConnex products and engineering services, Wyless network services, and SeeControl’s rapid IoT application development and deployment platform results in a complete, turnkey M2M solution. The advantage is a quick start. With the addition of SeeControl to the M2M Quickstart Developers Kit, customers will have access to an easy-to-use, end-to-end solution upon activating their kit. ClearComm enabled cellular products integrated with the SeeControl platform can now quickly and effectively prototype M2M solutions from the device to web based application. The kit includes a 90-day free trial of Wyless network services furthering the “Start Ahead Finish Ahead” experience.